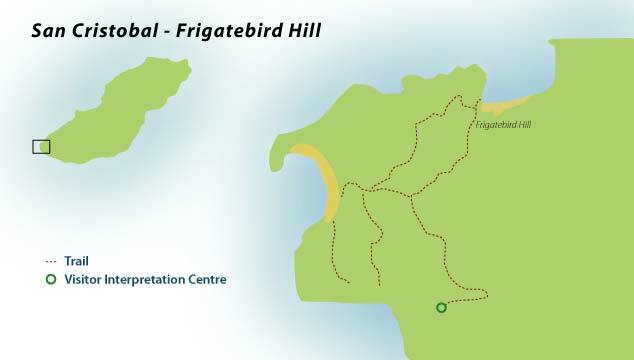 The capital of the Galapagos, and a main entry point thanks to the airstrip, San Cristobal has numerous visitor sites and an interpretation centre. 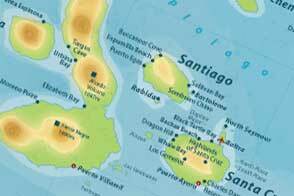 San Cristobal is in the far south east of the archipelago. 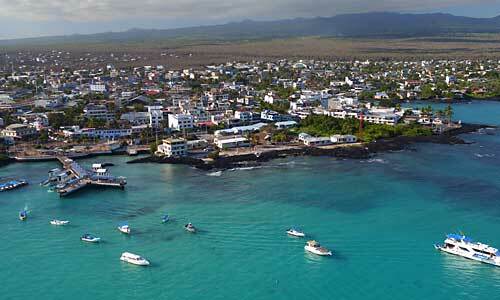 The town of Puerto Baquerizo Moreno is the official capital of the Galapagos Islands. It has a few shops and restaurants and some hotels, so is one of the more populated islands. This is the place to spot booby or two. Well, all three types actually – blue-footed, Nazca, and red-footed. 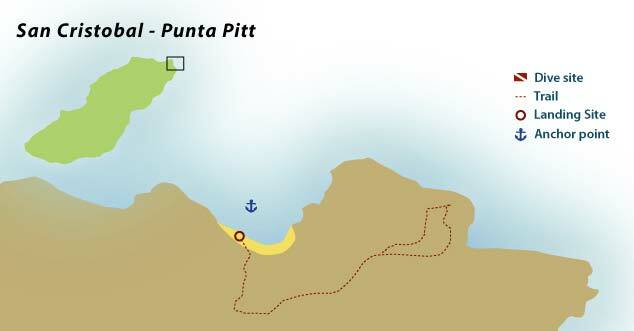 Up in the northeast of the island, this is a wet-landing site onto a long stretch of olive green sandy beach. There is a trail up a volcanic cone from where you will get a great view. 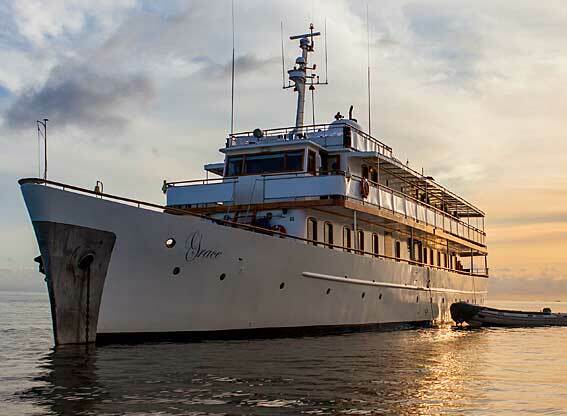 You might see frigatebirds here, and of course the ubiquitous sea lions will be your welcoming party. There is a good short walk out here from Puerto Baquerizo Moreno. On it you should see both species of frigatebird – magnificent and great frigatebirds. There is also a statue marking Darwin’s visit to San Cristobal. It’s very pleasant to swim, snorkel or even kayak from the white sand beach here. It has sea lions, boobies and pelicans, There are good views across to Leon Dormido, also known as Kicker Rock. 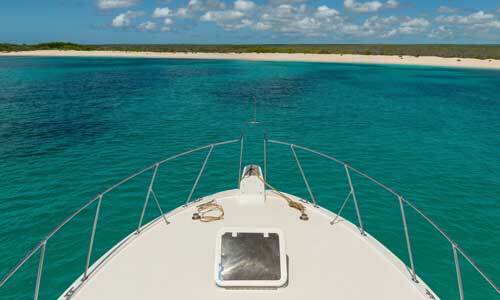 Another small island just off San Cristobal is Isla Lobos (wet landing). 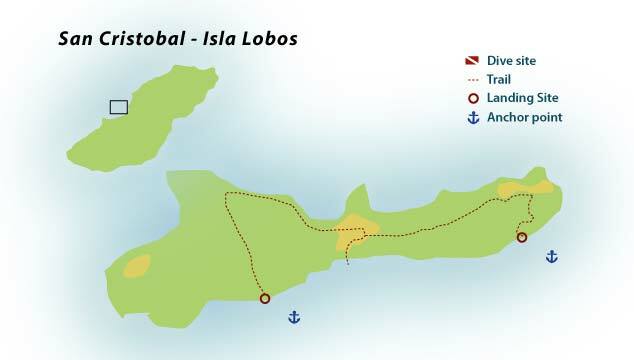 Lobos refers to the many sea lions found here. 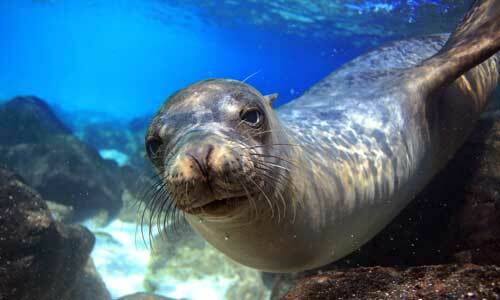 This is one of the best spots in the archipelago to swim with sea lions underwater. There are also blue-footed boobies, great frigatebirds, pelicans, lava gulls, yellow warblers and some finches. You can see this impressive rock formation from San Cristobal. You can take a small boat around the island, but can’t land on it. 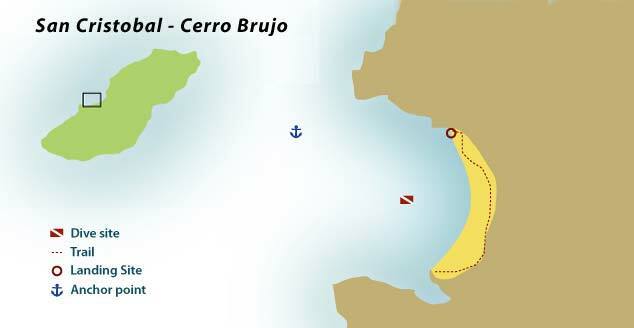 From Cerro Brujo you can often see the many boobies, frigatebirds and red-billed tropicbirds. A trip to this small freshwater lagoon only takes about a 3-hour round trip from the capital, or you can reach it from Cerro Brujo. It is unique in that it’s the only freshwater lake in the whole archipelago. It’s a rain-filled crater about 300m across, and attracts a real mixture of land birds and shore birds, including 7 species of Darwin’s finches. whimbrels, stilts, white-cheeked pintailed ducks, common gallinules are all seen here.